Those humble packs of ramen add up to a major social and economic force, say three anthropologists. Few things could seem more mundane than a packet of instant noodles. Dinner of last resort, bought in bulk, ready in minutes, instant noodles are cheap, unremarkable food. As culinary trends come and go, the tried-and-true cup o’ noodles endures, hewing to a reliable mediocrity: not good for you, but inexpensive and tasty enough. In fact, however, the very qualities that make instant noodles so inconspicuous have also turned them into a force that affects people across the world. Three anthropologists, intrigued by the presence of instant noodles everywhere from the wealthiest college campuses to the poorest cities of the developing world, decided to chronicle the food’s emergence in Japan, the United States, and Papua New Guinea. In their new book, “The Noodle Narratives: The Global Rise of an Industrial Food into the Twenty-First Century,” Deborah Gewertz of Amherst College, Frederick Errington of Trinity College, and Tatsuro Fujikura at Kyoto University show just how much can depend on one affordable, portable, dehydrated food. 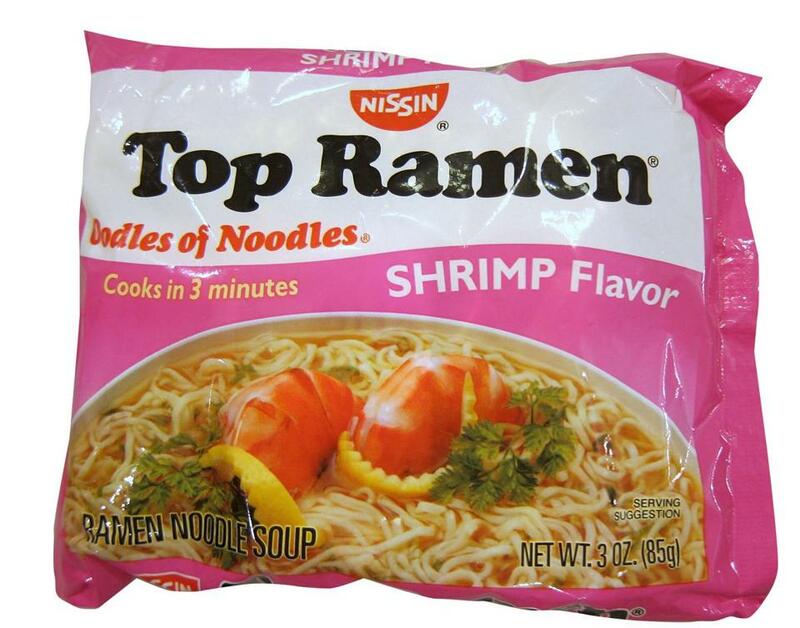 As the researchers point out, instant noodles are almost shockingly ubiquitous. Last year, about 100 billion packets and cups were sold, according to the World Instant Noodles Association—about 14 servings per person. The flavor packets can be adapted to make them appeal to any palate—a dash of chili and lime transforms them from Asian to Mexican. When a bank surveyed Tokyo-area residents, instant noodles beat out computers, karaoke, and the Walkman as Japan’s most influential invention of the 20th century. Indeed, the anthropologists discovered, instant noodles have taken on a complex role far beyond their original purpose. Noodles, they argue, are an instrument of “capitalist provisioning” that informs our sense of where we fit in the world economically. They enable poverty, creating a class of consumers at the bottom of the economic pyramid. At the same time, they can be a boon, providing cheap nourishment for the poor. Could Koki Ando, son of the inventor of instant noodles, possibly have been right when, at the 2010 World Instant Noodles Summit, he declared that the product could save the world? To find out, Ideas talked to Gewertz, who spoke to us from her office in Amherst. IDEAS: In what sense were instant noodles an “invention”? 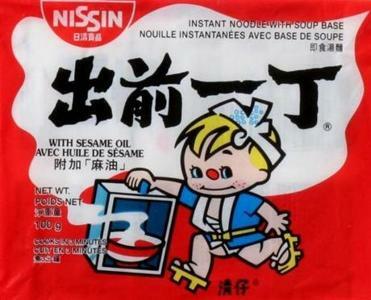 GEWERTZ: The Japanese have a long ramen noodle tradition. We’re talking real ramen, with sophisticated ingredients and soups that take a long time to produce with all sorts of subtle favors in them. In 1958, after the war, people were hungry....This is part of the mythos, this is what is told in the museums: This man, Momofuku Ando, looked around him and he saw his countrymen hungry, and he wished to help them by creating an inexpensive, shelf-stable, palatable, tasty food that would not take a long time to prepare....Mr. Ando experimented tirelessly in a backyard shack, and he was entrepreneurial. He recalled the principle of tempura, how it’s prepared and quickly fried, and he decided to use the principle of tempura to make his noodles instant. What that does is dehydrate the noodles and makes them porous, [by passing] them through a bath of oil. They can become very quickly rehydrated. IDEAS: Why did you decide to study instant noodles? IDEAS: What makes instant noodles different than any other mass-produced food? GEWERTZ: What’s interesting about them to us is almost everyone in the world has eaten them, but for different reasons and in different amounts. So, in certain regards, instant noodles become a way of telling a global story about the way we are connected to each other and differentiated from each other. IDEAS: What are the meanings of instant noodles in the various worlds in which you studied them? GEWERTZ: In the Japanese market, it’s a saturated market. Japanese people have available to them the real thing, ramen, but 600 new varieties of instant noodles are introduced into the Japanese market each year. The packages are gorgeous. The American market is a basic market, a commodity market. People buy instant noodles because they’re cheap. The three segments—the larger segment is comprised of those called the heavy users, [who] tend to be poor people. They work behind the counter at fast-food restaurants and get an hourly wage. One man interviewed said to an assistant of ours that he eats instant noodles for breakfast and lunch, but never for dinner, because it would just be too sad. The second segment is prisoners....They buy instant noodles at the commissary and mix them with all sorts of things in a remarkable way, mixing them with other ingredients to make elaborate concoctions—cakes, peanut butter and jelly facsimiles made out of instant noodles....Mostly we think they provide them with a taste of freedom. They buy them by choice; they make what they want. And then, of course Papua New Guinea, where instant noodles arrive in the 1980s and people are migrating out of villages into urban centers and they become, for many, a proletarian hunger killer. Bang for the buck, bang for 10 cents, and people become not only dependent on them but they really begin to like them for another reason. People can go into stores and buy them, and they really like the experience of choosing among the array of options. One of our arguments is they are helping transform Papua New Guineans into consumers, for better or worse. IDEAS: You refer to the people “at the bottom of the pyramid” as a niche that instant noodles are designed to target. Can you explain that? GEWERTZ: C.K. Prahalad wrote a very influential book called “The Fortune at the Bottom of the Pyramid.” He argued that even though the poor have very little money, there are a whole lot of them. So if you could find products which appealed to those at the bottom of the pyramid, then you would earn not very much from a few of them, but you’d earn a whole lot from them all. He also had a vision, as lots of businesspeople do, of a kind of win-win situation. If you could sell to those at the bottom of the pyramid and you could allow them to exercise their choice, and satisfy their basic needs, then they would move up economically....There would be this kind of evolution to the middle of the pyramid. We tend to think of those at the bottom of the pyramid as remaining [there], but altered in some regard: more dependent on food coming from other places, less secure. IDEAS: What is the future for instant noodles? GEWERTZ: I think they’re unstoppable....We have seen that very, very, very poor people need a source of calories. We do not think instant noodles will save the world by any means, but we end up concluding, with a significant amount of reluctance, they do more good than harm in keeping poor people not exactly nourished, but certainly alive.